Twenty years after the genocide, Rwanda is making huge development strides. For the survivors of the 1994 genocide in Rwanda, it feels like only yesterday that machete-wielding Hutu militias embarked on a mission to annihilate the entire Tutsi tribe. Marie-Claude Mukambano, a Tutsi aged 15 at the time, was one of such targets. She remembers vividly how scarily close she was to losing her life when the militias grabbed her and threatened to cut off her head. A few days earlier, she had witnessed her sister gruesomely murdered just for being a Tutsi, and it appeared her fate was now sealed. But she had fake identification papers showing she was a Hutu. She showed them to the militias who expressed disbelief. Trembling, she said a prayer in her mind. Miraculously, the militias spared her life. Now living in New York, Ms. Mukumbano told Africa Renewal she was not sure why the militias changed their minds about killing her. It could be the fake identification papers or the prayer or both. The Hutu militias were revenging the deaths of two prominent Hutus: Presidents Juvénal Habyarimana of Rwanda and Cyprien Ntaryamira of Burundi, whose plane was shot down allegedly by Tutsi fighters while about to land in Kigali, Rwanda’s capital city. The tragic incident blew open years of animosity and struggle for political power between the two ethnic groups. For about 100 apocalyptic days, a bloody campaign unfolded while the rest of the world silently looked on. About 800,000 people were killed during this period. As the world marks the 20th anniversary of the genocide this year, Rwanda has moved on, economically, socially and politically. It has one of the world’s fastest growing economies, averaging 8% growth per year over the past decade, according to the International Monetary Fund. The World Bank says Rwanda is the third best place to start a business in Africa, behind Mauritius and South Africa. Rwanda’s goal is to be the technological hub of East Africa. It has an impressive e-government system, which ensures that most of the government’s financial transactions and other tasks are done electronically. In 2012, Rwanda launched the One Laptop per Child Programme, which aims to saturate its primary schools with 500,000 laptop computers. Over 100,000 have so far been distributed. Last December, it completed the laying of fibre optic cables across the country that will provide affordable and reliable internet service. And in February this year, it partnered with Facebook, the social media company, to launch a pilot project to provide Rwandan students with access to online education. Unlike many other countries in sub-Saharan Africa where economic growth has so far not translated into visible signs of development, Rwanda has an impressive record. For example in 1994, 78% of Rwandans lived below the poverty line ($1.25 a day). By 2011 that figure had dropped to 45%. In addition, Rwanda has a 99% primary school enrolment, the highest in Africa, according to the World Bank. Access to affordable health services has expanded through the introduction of community-based health insurance. The country is on track to reach the Millennium Development Goal on maternal health. 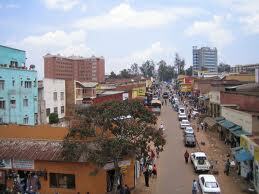 Kigali, the capital, is a thriving city. “Life is orderly, pavements are clean and roads are free from potholes that curse much of Africa. Kigali is nurturing a reputation as the safest city on the continent,” says the Guardian, a UK newspaper. A lot of credit for Rwanda’s transformation goes to President Paul Kagame, who is credited for ending the 1994 genocide and establishing political stability. Economists consider Vision 2020 plan credible, noting that Rwanda’s over-reliance on agriculture could be problematic in the long term. While agriculture continues to be the economic mainstay, providing jobs for 73% of the population, it accounts for only 36% of national output, according to the African Development Bank (AfDB). 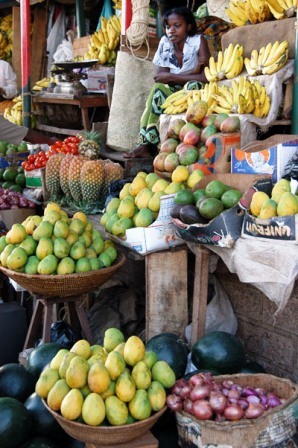 Rwanda must therefore reduce its reliance on agriculture and ramp up economic diversification. Despite the current emphasis on developing a service-based economy, there are also strong efforts to boost agriculture’s share of the gross domestic product. 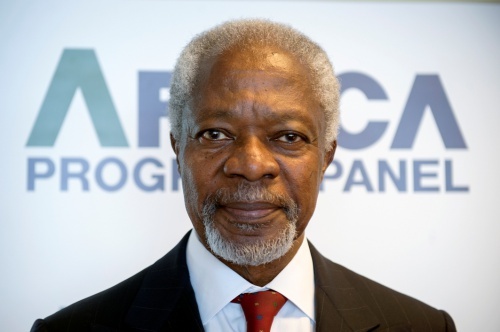 In 2007, Rwanda became the first country in Africa to sign the Comprehensive Africa Agriculture Development Programme, an African Union initiative to increase investments in agriculture. The programme requires member states to commit at least 10% of their national budgets to agriculture. Agnes Matilda Kalibata, Rwanda’s agriculture minister, says that her government’s investment of 10% of the national budget in agriculture has resulted in 6% growth in the sector. 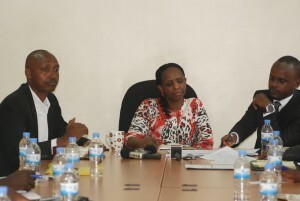 (Photo: Courtesy of Rwanda Focus). The government supplies farmers with cows, links them to the markets, has increased irrigation programmes and is focusing on crops such as coffee that grow well in the country. Analysts say Rwanda’s impressive socioeconomic development is partly due to its focus on women’s empowerment. The country leads the world in the number of women represented in parliament, holding 56% of the seats in the lower house. In an article for Solutions Journal, an online publication that showcases innovative ideas for dealing with, among others, the world’s socio-economic problems, researcher Roxane Wilber advises nations looking to improve governance to learn from Rwanda experience. The country’s sound economic management has now caught the attention of the world’s marketplace. That was after the country debuted on the global bond market in April last year, raking in $400 million after an offering that was eight times oversubscribed. President Kagame’s leadership with its impact on the lives of 12 million Rwandans has made him a rising star among his peers. Despite such comments from supporters, Mr. Kagame’s geopolitical policies, particularly his alleged involvement in the conflict in neighbouring Democratic of the Republic of the Congo, which he has strongly denied, have prompted closer scrutiny of his treatment of Rwandans who oppose him at home and abroad. Carina Tertsakin, a researcher for the US-based Human Rights Watch, considers Mr. Kagame an enigmatic leader, and accuses Western governments of ignoring Rwanda’s human rights violations and abuses against his opponents. President Kagame’s democratic credentials took a hit after he won the 2010 presidential election in which three opposition parties were removed from the ballot. The president was re-elected with 93% of the vote. His current term expires in 2017 but his opponents say he may seek a constitutional amendment to allow him to contest for a third term. Borniface Twagirimana, vice president of the opposition United Democratic Forces, has said he does not believe Mr. Kagame will not relinquish power in 2017. There is no doubt that the president continues to retain a good measure of domestic support. “The president is running the country like a CEO of a company who ensures that every director is accountable for their department…The West tries to use its standards in the developing world and it isn’t fair,” says Gerald Mpysi, managing director of a management and leadership learning institution in Rwanda. 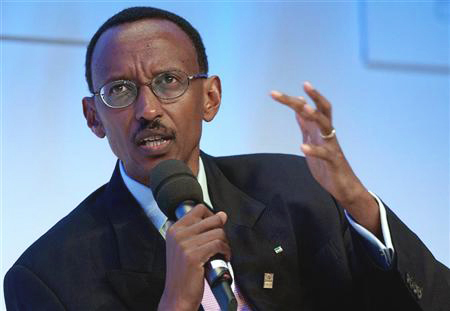 Mr. Kagame’s accomplishments and popularity complicate the opposition’s efforts to drive down his popularity ratings. 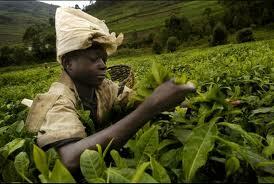 But Rwanda faces other headwinds. The country depends on foreign funds for up to 40% of its budget. The AfDB warns that suspension of funds could undercut its economy. Already, calls are getting louder for Britain and the US – the two leading donors – to use their leverage to insist on respect for human rights and democracy. Reporters Without Borders says there is limited press freedom as media organizations are mostly government-controlled. And the Hutus and the Tutsis are not necessarily bedfellows 20 years after the genocide. Therefore, more needs to be done to foster ethnic harmony. At the many ceremonies that will be organized to commemorate two decades since genocide, there’s likely to be a focus on the heinous crimes committed during the genocide. Questions will be asked why the world couldn’t intervene. There will be discussions whether the International Criminal Tribunal for Rwanda established by the UN in 1994 to judge those responsible for the genocide has played its part effectively. But what must not be lost are the strides that Rwanda is making and how people’s lives are getting better. These positive strides are what have truly impressed the world.